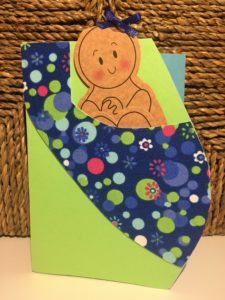 The Umbilical Card™ – …the card that delivers! 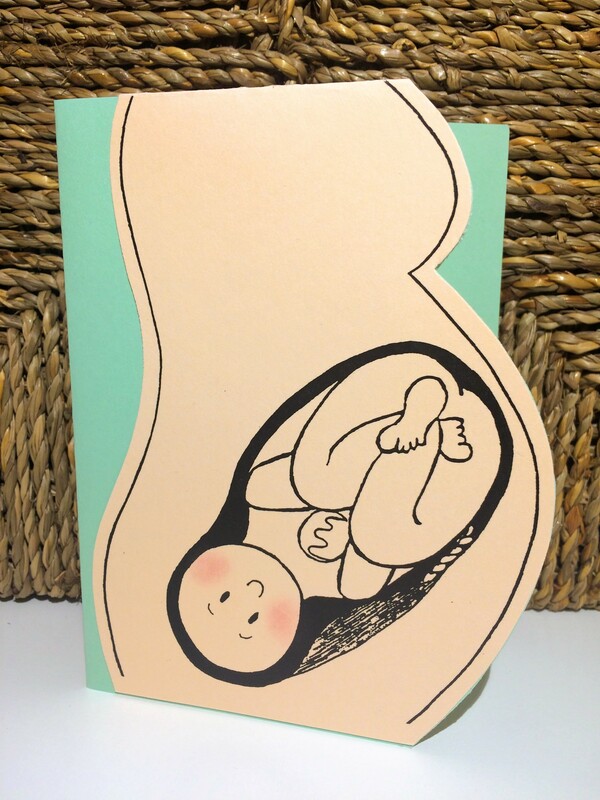 The Umbilical CARD™ is the card that “delivers,” literally. What started out as a handmade birth announcement for a newborn daughter (in 1990) has since created a life all its own. 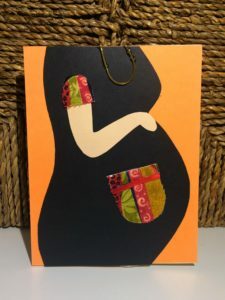 This 4”x 6” greeting card, The Umbilical CARD, opens to “deliver” a surprise every time: a paper baby dangles from a plastic umbilical cord tucked inside the card. It always brings a smile! 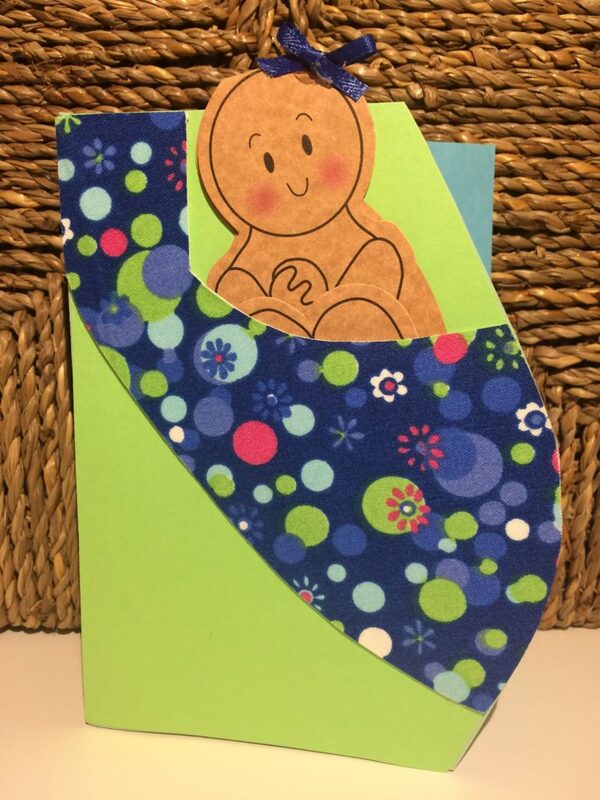 People everywhere who love birth and babies (nurses, midwives, doulas, OB’s) really LOVE this card! They are sold internationally too, all blank inside – you can write in your own language. 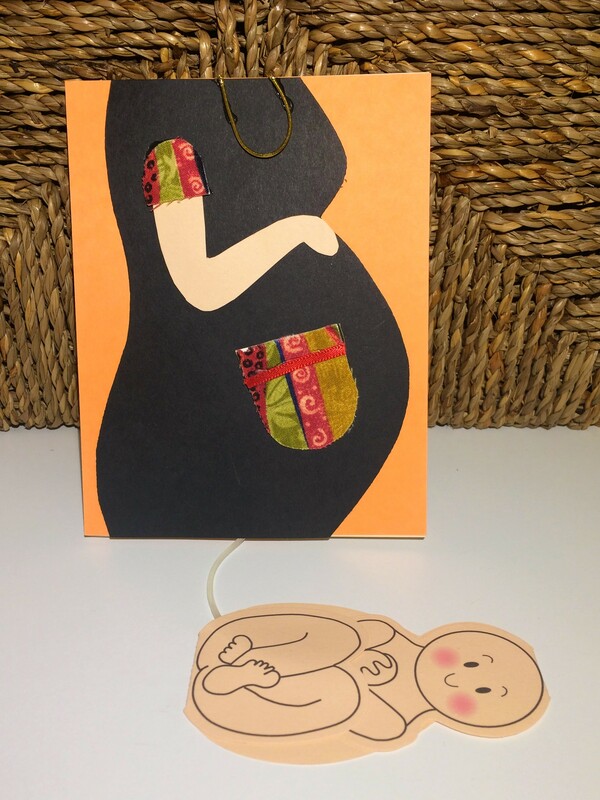 Umbilical CardsTM – colorful outline of mother’s belly, with baby attached to umbilical cord inside card. GestationeryTM – pretty pregnant stationery outlines mother’s belly (no cords, still gestating). Peach and brown skin tones. Also available in “Multiple Gestationery” for twins and triplets. LactationeryTM – peach or brown breastfeeding mother/baby couplet is folded inside a colorful quilt. When card is opened, the joy of breastfeeding is celebrated as baby nurses while tucked in mother’s arms. NeoNotesTM – individual neonate is swaddled in colorful, 3D hand-crafted knitted/crocheted blanket. 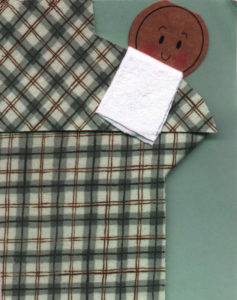 AttachmentsTM – mother “wears” baby in a textured, fabric sling, paper baby can also nurse while in sling. 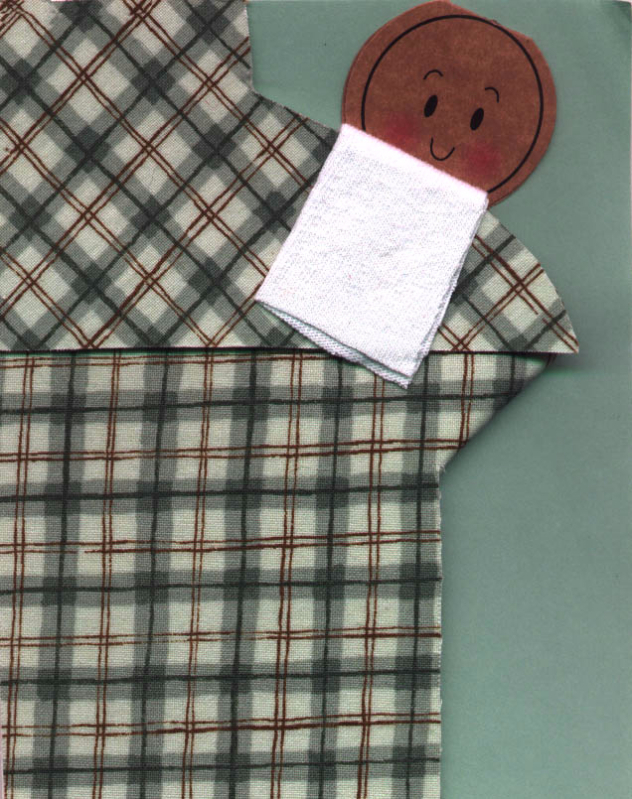 Diaper Daddy – father “burps” baby on white diaper cloth over shoulder of plaid (or camouflage) shirt. 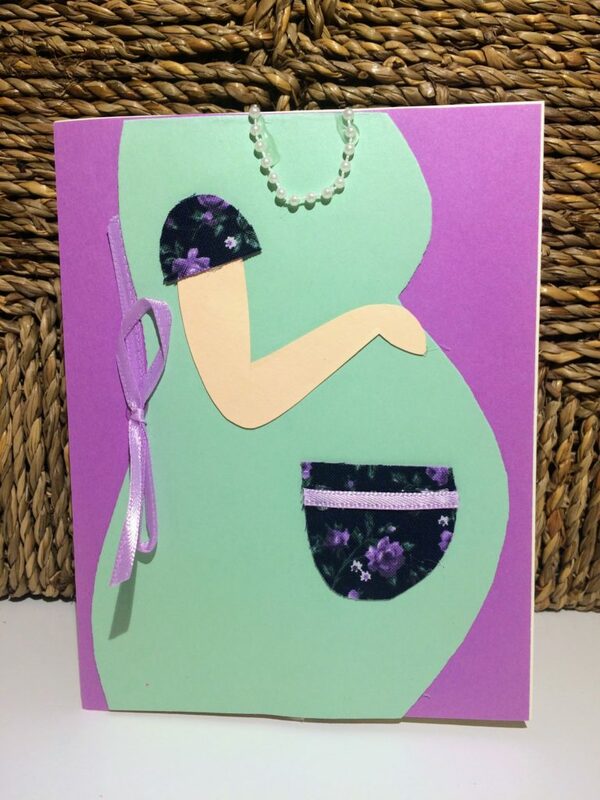 *Custom orders are available upon request for birth announcements or baby shower invitations. Please email us directly with your requests. We look forward to hearing from you!